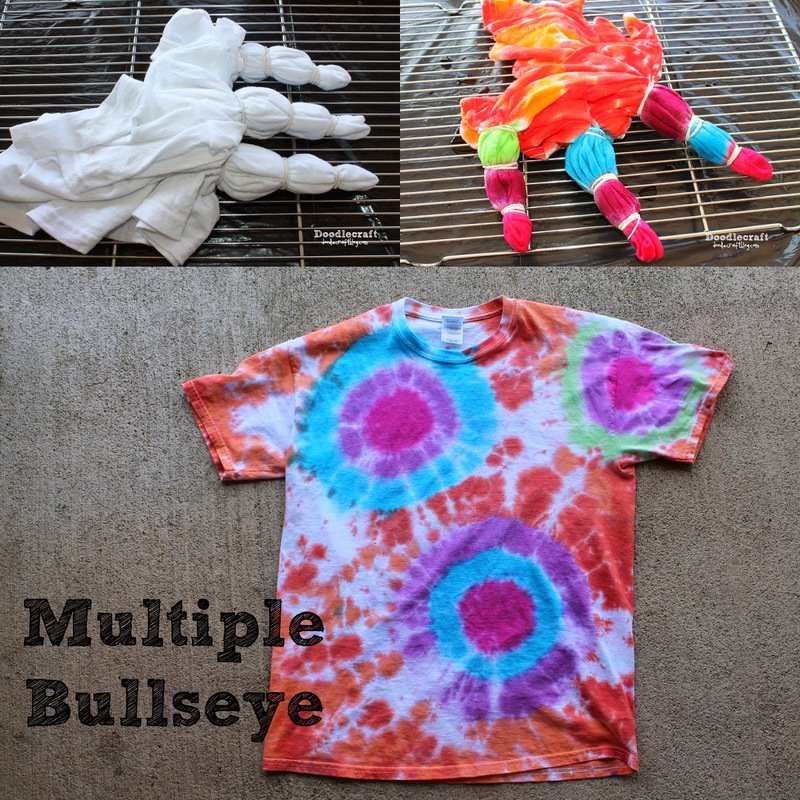 Doodlecraft: Tulip Tie Dye T-shirt Party! 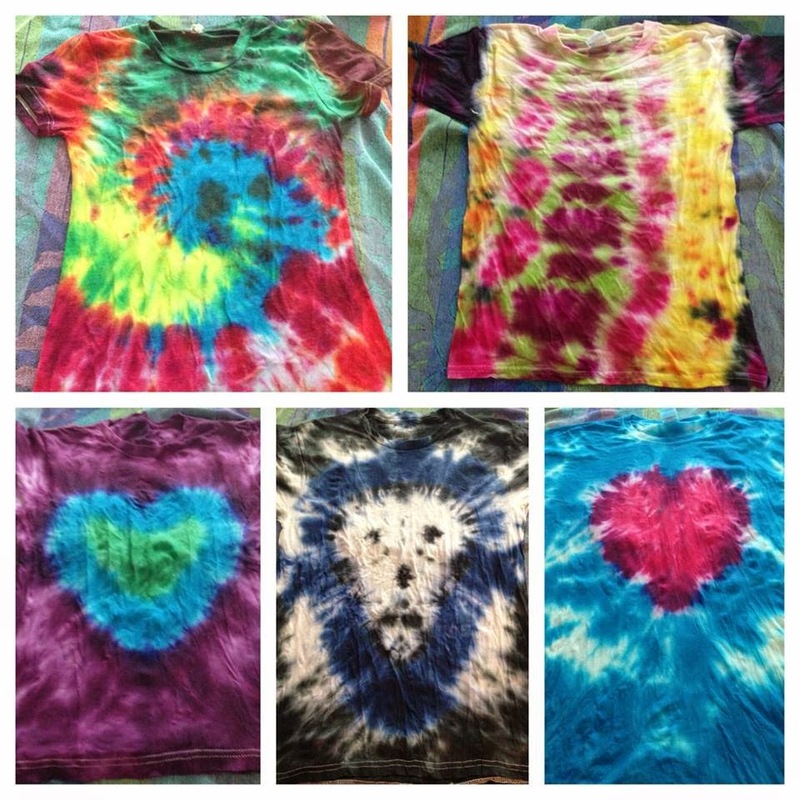 Tulip Tie Dye T-shirt Party! This is a sponsored post from I Love to Create for the Blueprint Social. Tulip tie dye is the best dye! It's one step process makes it so easy to use! 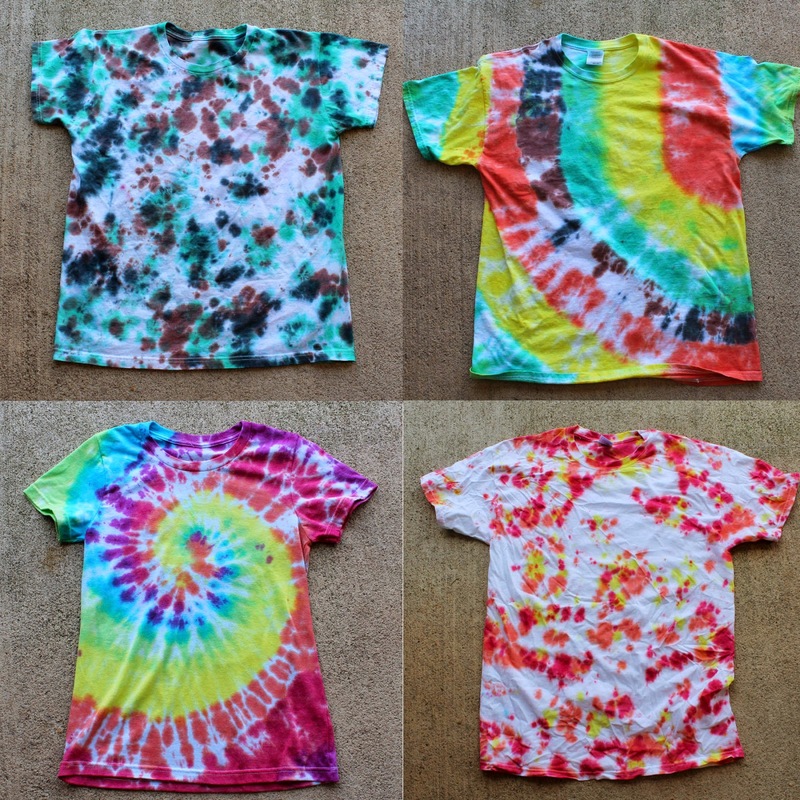 Dyes are permanent and color-fast...so they wont fade in the wash! Tulip and Gilden sent me a big box of fun! 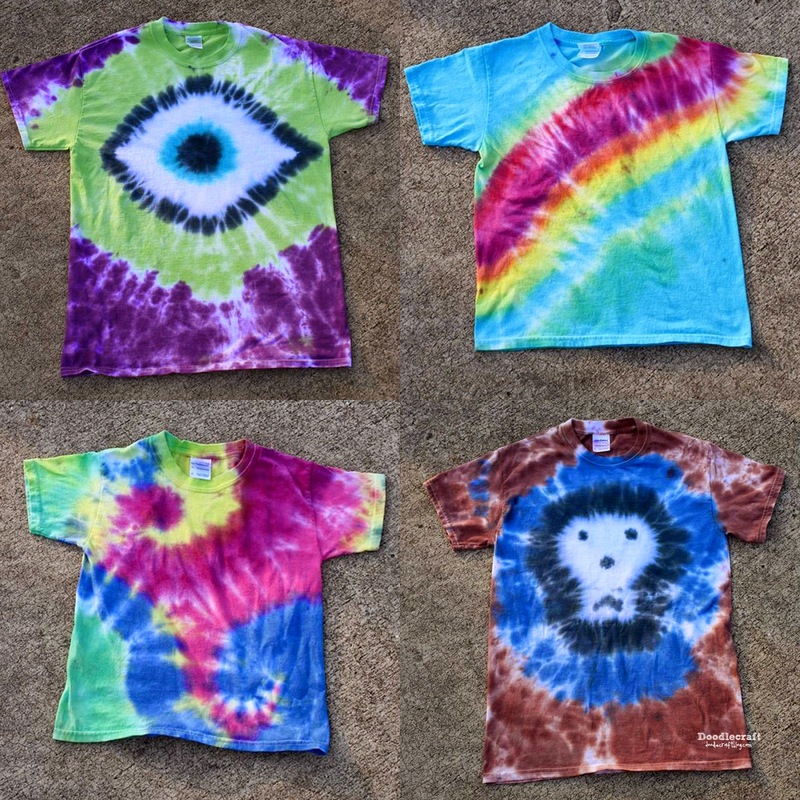 Huge packs of tie dye and 20 t-shirts! Tulip One-Step dyes are amazing. 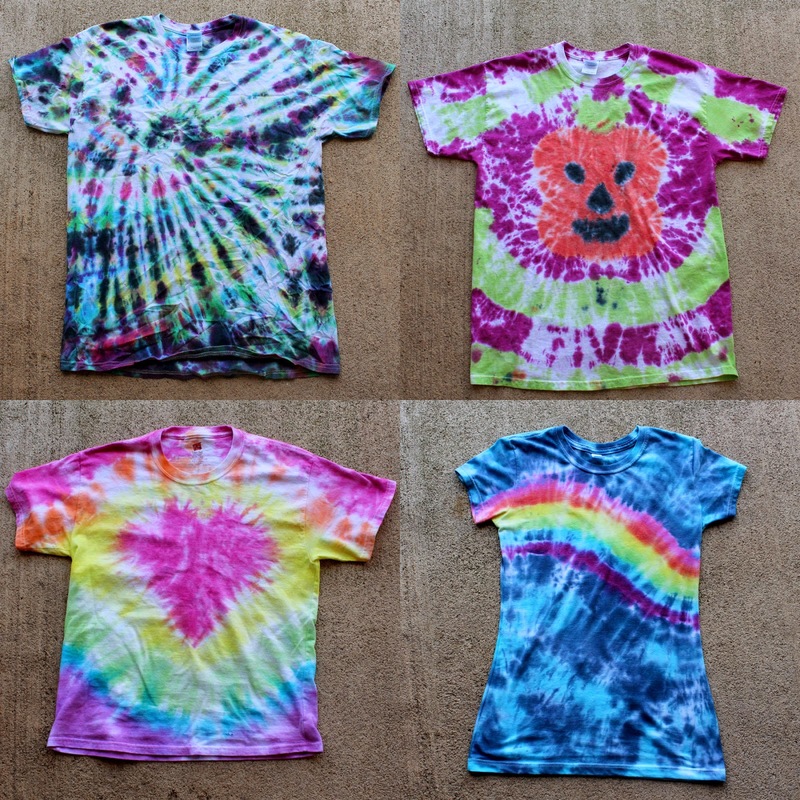 Would you believe that I have never tie dyed before? This was my first go at it...and you know what? I love it and I am completely obsessed. Just watch out...anything and everything that is white is soon to be tie dyed! 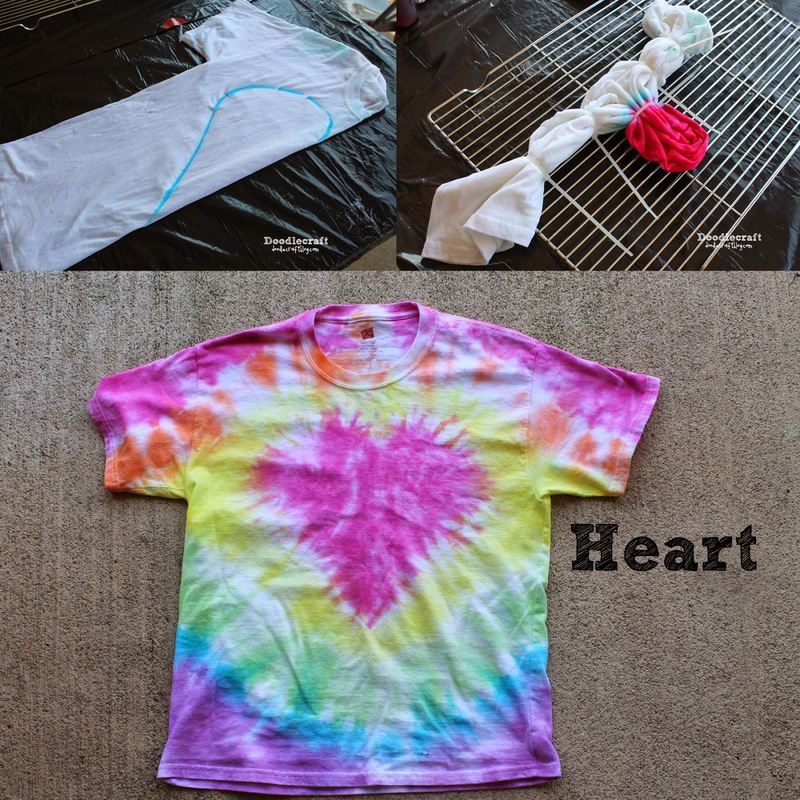 Tie dying is a fun family activity! littlest toddler could make their own shirt! My 5 year old son is always super reluctant to do any type of "craft". he did a camouflage one and loved it! It was his idea to make it army colors! I think he did great! We live far away from extended family. This would be the funnest family reunion activity! So I invited over a bunch of other families to come tie dye with us! It's a great way to have neighbors over. I had enough dye rated for "65 projects". Because we did large child and large adult shirts it ended up making 40 shirts total. I wrapped the table with garbage bags, so the clean up would be easy. I had a basket of already washed and wet t-shirts. Washable markers were used for tracing out shapes or patterns to follow. I also had a large supply of latex gloves and plastic grocery bags for wrapping later. make shirts at a time while other activities were going on. Let's start with a rainbow! so the blue marker line matches up in a straight line. Then use a zip tie to tie off that blue marker line. keeping the gathering the same as the first time. Until you have enough for the colors you want! Place on top of your baking rack. Use the dye according to directions. Squirt the colors you want on the shirt. I added 2 shades of blue sky! 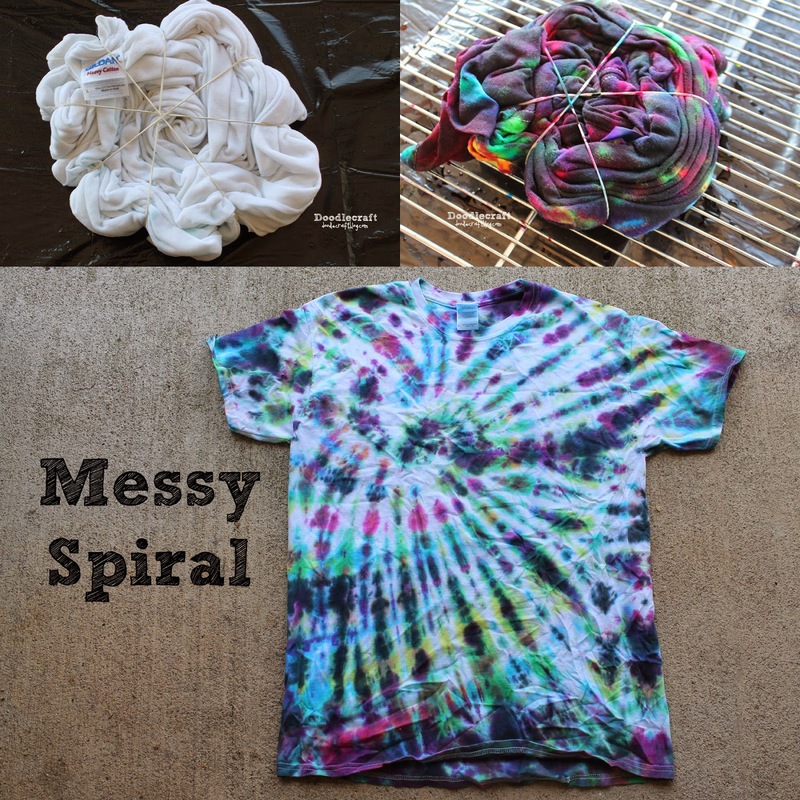 of turning your shirt into a muddy mess?...yes, do this! Next, take the shirt and wrap it in plastic. colors or they will bleed together still. I overlapped the blues...no big deal. Then I put it in a grocery bag. Wrap it carefully and let it sit for 6-8 hours. Take it out of the wrapping...and rinse in the sink. I rinsed a few minutes...then remove the zip ties carefully with scissors. Then continue to rinse until the water runs clear. This is the BEST part! 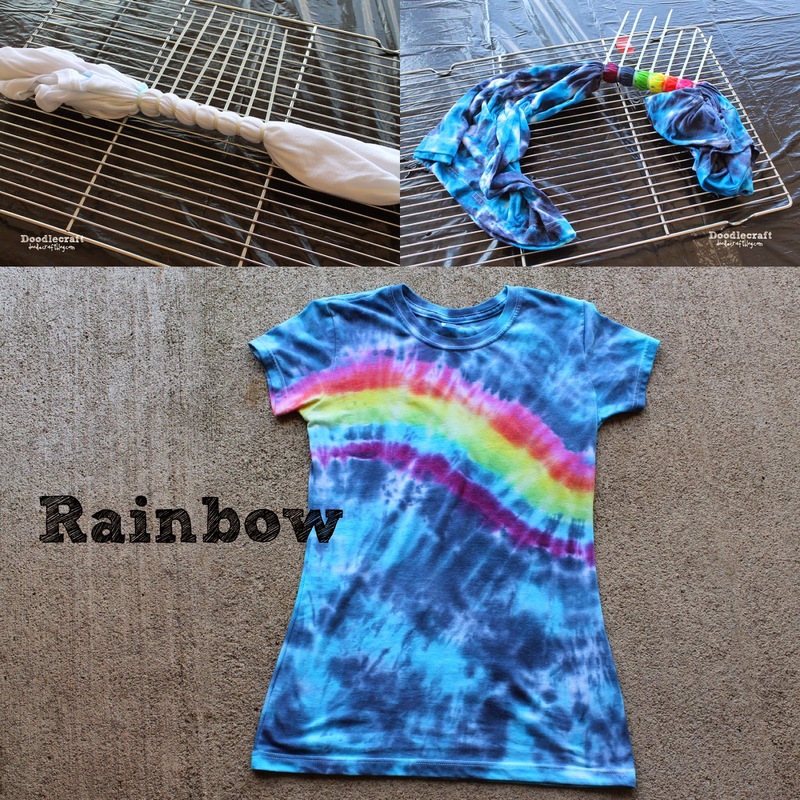 You finally get to see how your shirt turned out! Then throw it in the washing machine and run a regular cycle. you'll end up with this! It was a fun activity for all ages! family reunions...birthday parties--you name it! And we used lots of dye! 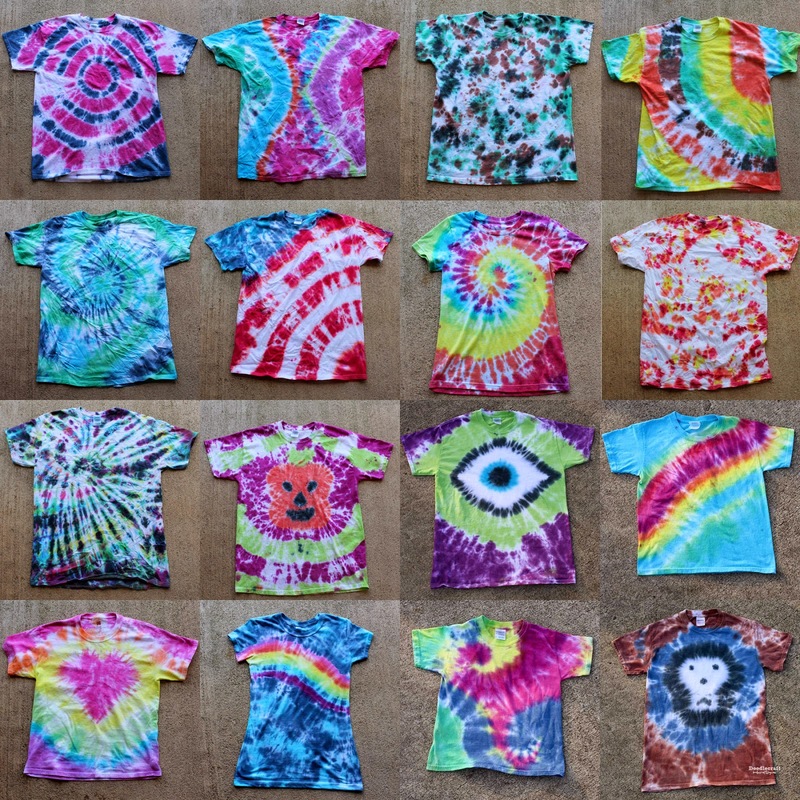 All in all, we ended up making about 40 shirts! 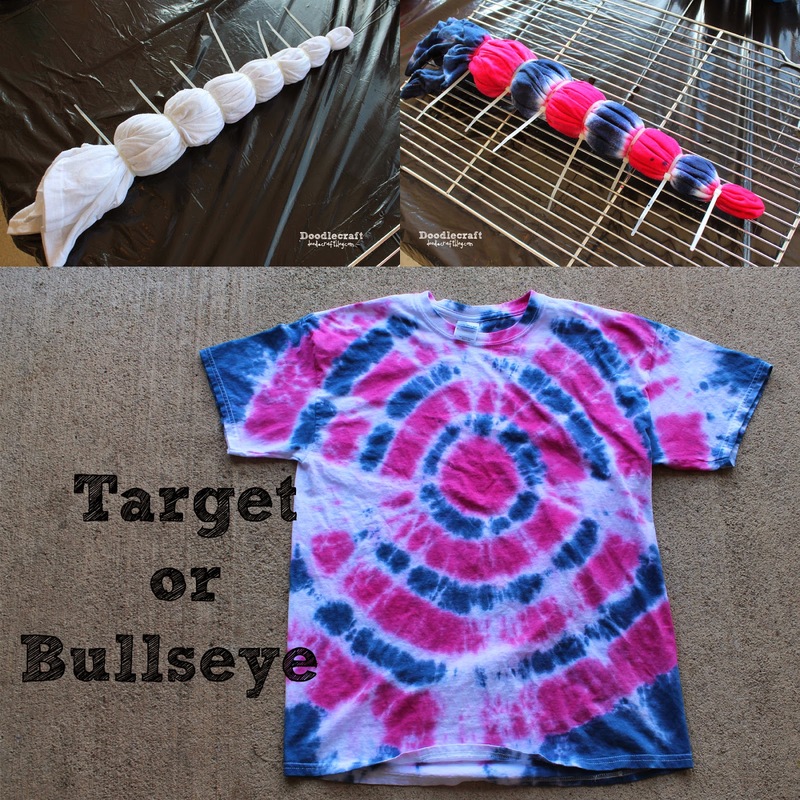 Here's how to do some of the other fun patterns! (Just grab the shirt where you want the center of the target to be. 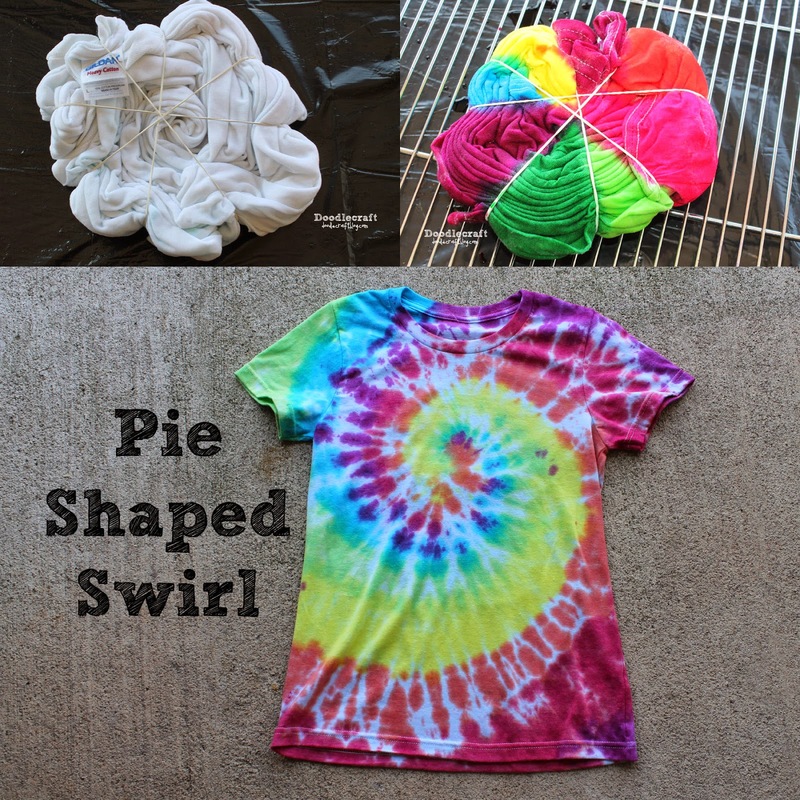 (Grab the center of the shirt and twist it in a spiral until it's all wound up. 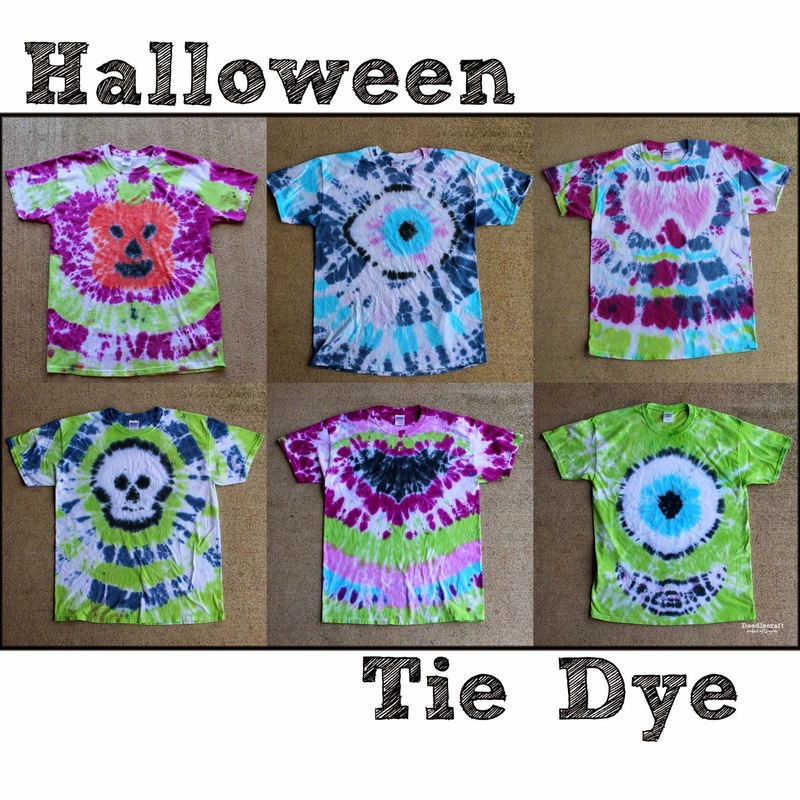 Here's the plans for the Halloween Tie Dye! 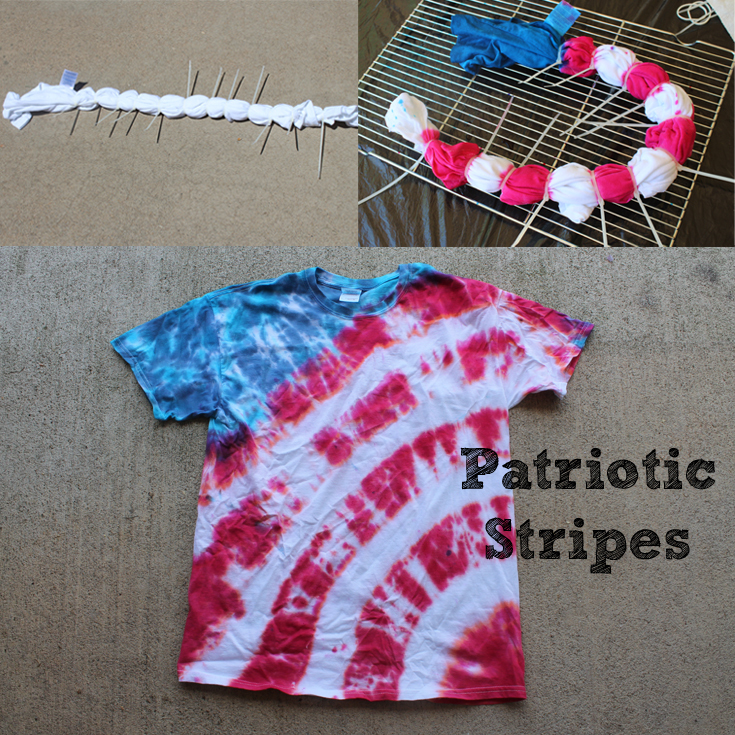 Here's the Patriotic Stripes Tutorial!!! How did you do the red, white and blue one that looks like a flag sorta? How do you do the Red White and blue one??? I agree with the personn above please help! If you click on the picture you will be redirected to a page with full instructions. Thank you so much! 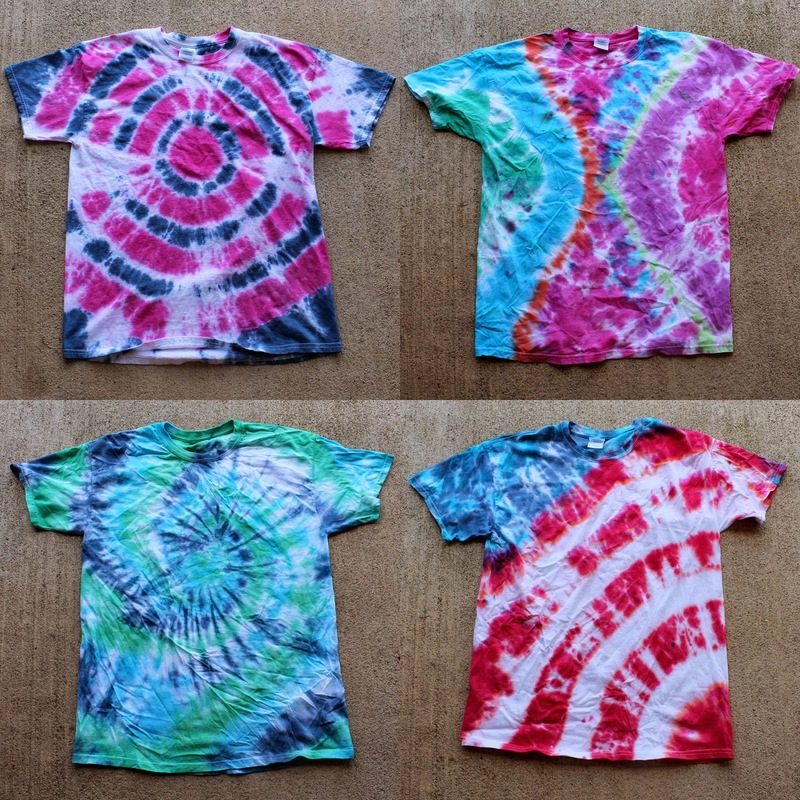 I'm new to tie dye and wondering if it would be complicated. After reading your blog post, I think I might actually be able to do it. Thanks again! On the patriotic one, how do you keep the color from bleeding on to the white sections?